Capsule Depot sells empty capsules at a low price for you to fill. Capsule Depot’s gelatin capsules are safe and natural. 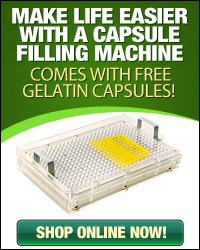 Capsule Depot’s capsules are made from 100% hide gelatin. Hide gelatin, like all gelatins, is an animal protein that helps with weight loss, arthritis, and brittle bones. Hide gelatin is an ingredient used in traditional Chinese medicinal remedies, and is a much-preferred capsule in health stores. 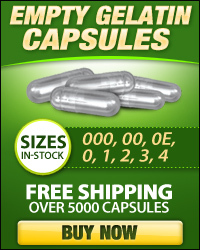 Hide gelatin capsules are meant for filling with powders and are perfect for herbal supplements. The gelatin is pharmaceutical-grade gelatin, so you’re putting the best in your body. Hide Gelatin is BSE-Free. What exactly is BSE. Bovine Spongiform Encephalopathy is a fatal illness commonly known as mad cow disease. By not using cow hide, your capsule is safe from harmful diseases. 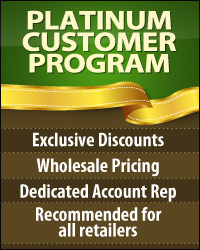 Hide gelatin is perfect for many uses including powders, supplements, vitamins or herbs. 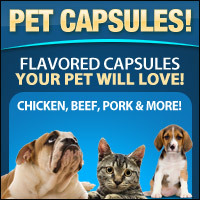 If all this doesn’t sound good enough already, Capsule Depot’s capsules are Kosher and Halal certified! Don't fill with liquid - the capsules will dissolve. Doses may vary depending on the type, density and amount of filling in each capsule.